Please prepare your manuscripts according to the JTEC Journal Paper format. The manuscript should be 5 to 6 pages long. 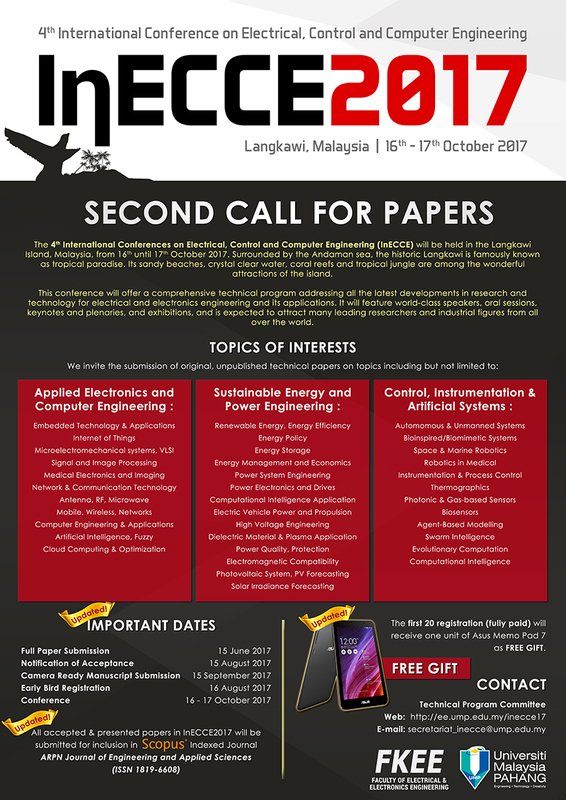 Please visit the InECCE2017 submission page to submit your manuscript. Your submission will be double-blind reviewed by at least three independent reviewers. The decision on your paper will be informed via email by the dates listed in the Important Dates section.